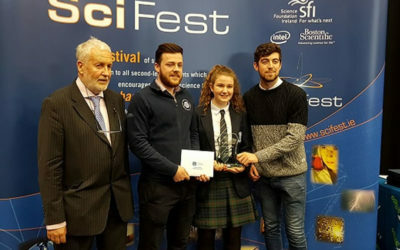 Congratulations and best of luck also goes to Eimear Kearins (6th Year) who was runner up at the regional Scifest competition at the IT last May. 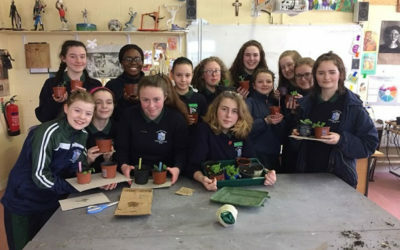 This year the Ursuline College has been very fortunate to have more projects than ever accepted to present at the exhibition in the RDS in January. 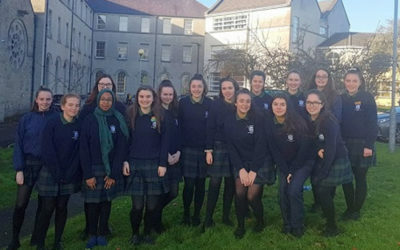 The North – West regional finals of Poetry Aloud were held in Mercy College on Monday 16th October. 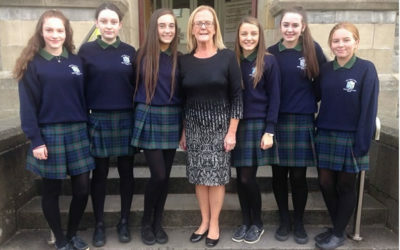 Congratulations Aoife Delvin, Ellen Woodward, Niamh Nicholson, Maura Madden and Ava Murray. 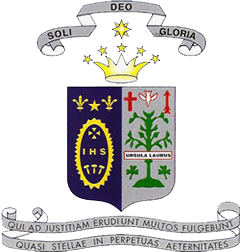 who have been identified as high achievers in Science and Maths in the 2018 Junior Certificate Examinations. 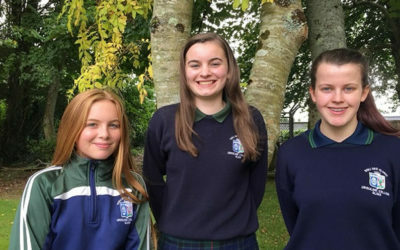 Congratulations Aoife Delvin, Ellen Woodward, Niamh Nicholson, Maura Madden and Ava Murray who have been identified as high achievers in Science and Maths in the 2018 Junior Certificate Examinations. 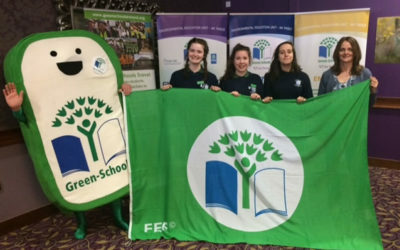 The Green Council has been busy working on the school garden for their Biodiversity received a Green Flag. 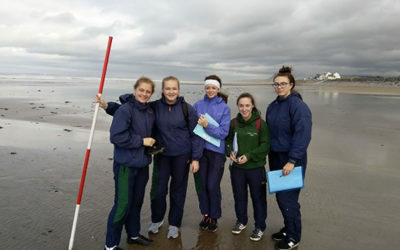 The 6th year Geography class went on a field trip to Strandhill on Wednesday 26th. Mayor Rosaleen O’ Grady held a coffee morning in aid of Sligo Hospice on the 20th September. it was held in the Lord Mayor’s parlour. 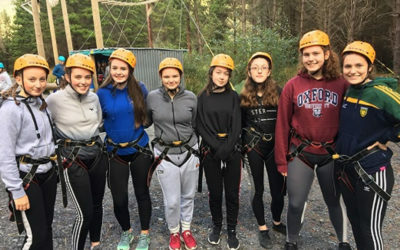 All of TY went to Dephi on Monday 23rd and Tuesday 24th for their bonding trip. 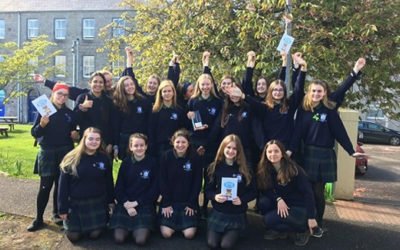 4C won the YSI Award Make Our World a Better Place for Young People with their project entitled ‘Give a Hand to Help Them Understand’. 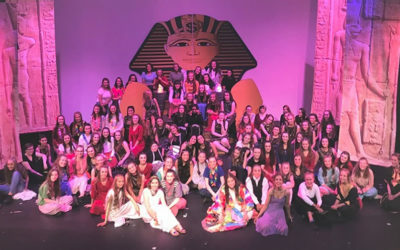 Ursuline College’s Transition year presented Joseph and the Amazing Technicolor Dreamcoat in the Hawkeswell Theatre on the 18th and 19th April 2018. 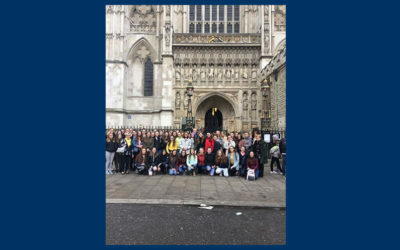 Our trip to London began last May, when the music department decided to enter the Beaconsfield Choral Festival with a junior and Senior Choir. 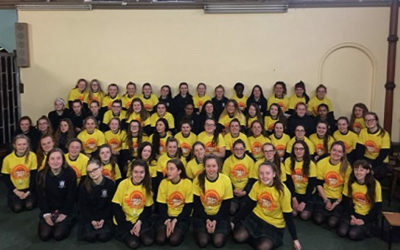 Ursuline students who participated in the Darkness into Light walk on Saturday 13th May. 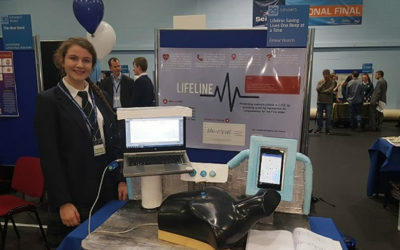 Congratulations to all the Ursuline Students who participated in Scifest 2018 at IT Sligo on Wednesday 9th May. Congratulations and well done Ella Joyce 1st Year! 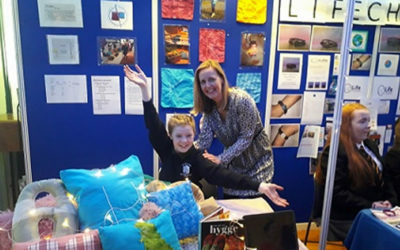 Ella made it to the national Student Enterprise Awards in Croke Park with her company Hygge (hugga) Cushions. 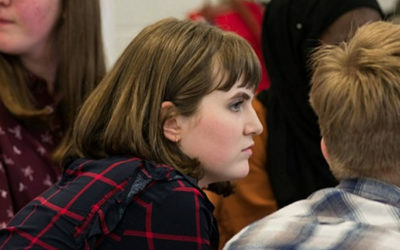 Maria Henehan and Siofra Kelleher attended the European Youth Parliament Connaught – Ulster Conference in Cavan during the Easter break. Mr. Micheal Martin T.D. 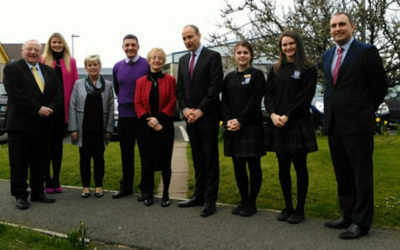 leader of the opposition in the Dail visited Ursuline College on Thursday April 12th. 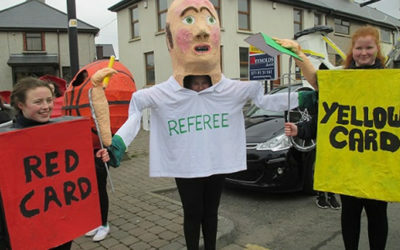 Congratulations to the 1st Years who won the School’s Cup in St Patricks Parade. The Green Council are presently growing seedings on windowsills, ready to plant in the school garden in spring.